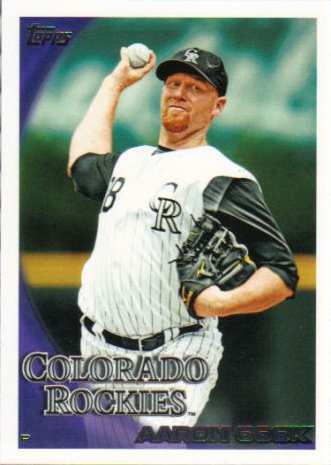 I busted two jumbo packs of 2010 Topps Update and pulled an off-center Stephen Strasburg rookie card, which seem to be an otherwise common pull - among the other cards were a couple Million Card Giveaway code cards [one from each pack]. I don't know much about Glen Gorbous but his 1956 Topps card is the oldest out of the six I redeemed this year - he apparently was a journeyman outfielder [deceased] from Canada who holds the record for the most longest throw of a baseball. Don Baylor was a decent player who won the American League MVP in 1979 with the then California Angels - he has also gotten a little bit of experience in the Major Leagues as a hitting coach and manager. 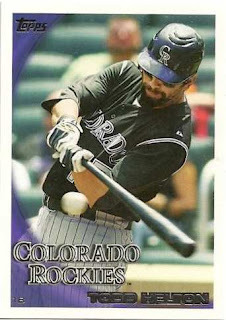 Baylor was named by Kirk Gibson to be the hitting coach for the Arizona Diamondbacks in 2011. 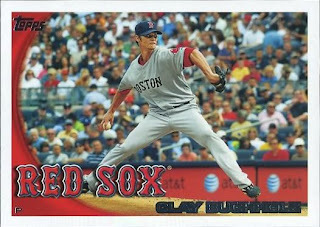 I've had these cards for a couple of years as my friend gave them to me in anticipation of the 2009 World Baseball Classic - now Iwakuma is trying to get to the major leagues after the Oakland Athletics won the bid to be able to negotiate a contract with Iwakuma for about 30 days. 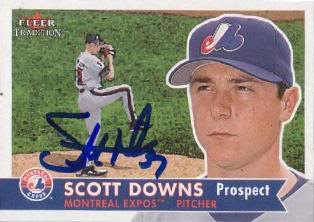 Apparently other Japanese players are itching to join Iwakuma - looking to cross over into Major League Baseball and hopefully be paid well to have some success. The San Francisco Giants match up well against the Texas Rangers - except they don't have the middle of the order bashers like Josh Hamilton, Nelson Cruz and Vladimir Guerrero. 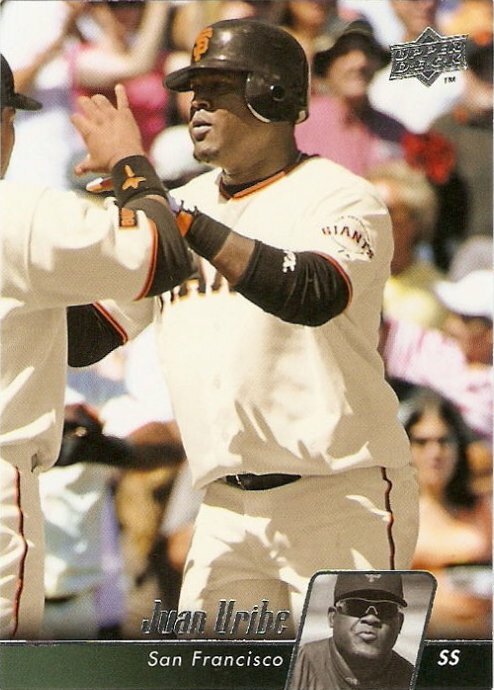 Shortstop Juan Uribe has sort of been a fan favorite in San Francisco - even though he is a player statheads don't like because he makes too many outs. 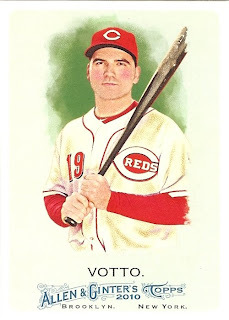 However he is a key player for the Giants even with his feast-or-famine ability at the plate - his bat got the Giants to the World Series, so he must have done some good things for his team this season. 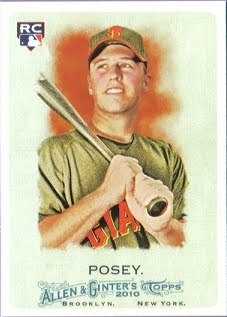 The rest of the Giants' hitters have to show up with rookie catcher Buster Posey needing to have a big series - most 'baseball experts' and Giants fans have been clamoring for this guy to play all season long and he's proven them right even through the postseason. 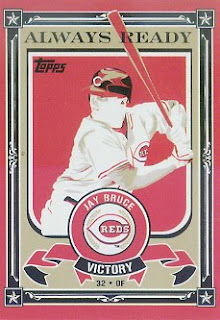 Now, he has show up his former mentor [Bengie Molina] and has to compete [at the plate as well as behind the plate] - to see which guy leads his team to a World Series title. 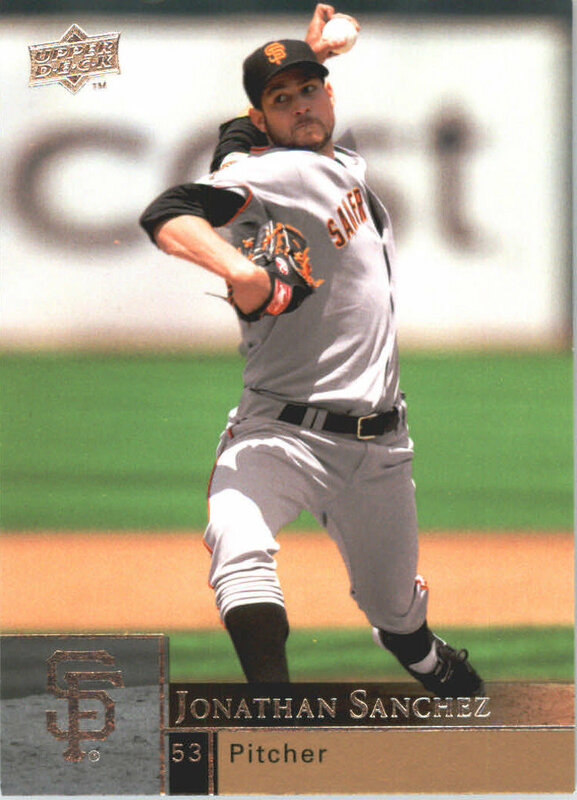 I don't think anyone feels bad for Barry Zito, who signed a $126 million contract to pitch for the Giants - but imagine being once counted upon as the ace of the pitching staff, only to watch your team reach the World Series without your contributions. 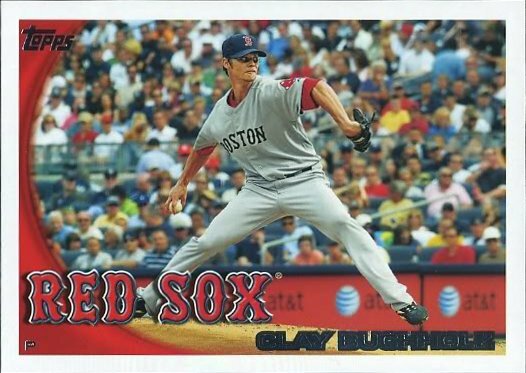 I thought some sentimentality would at least play out in finding a World Series roster spot for Zito - but I guess his performance doesn't merit being given an opportunity to appear in the World Series. 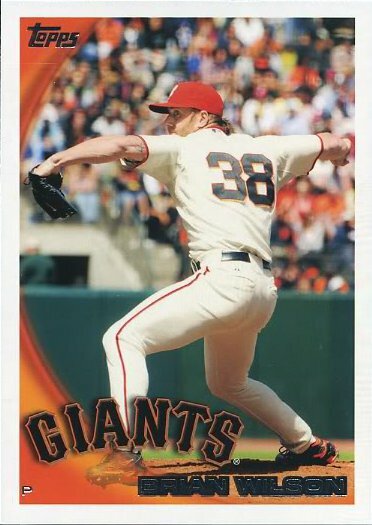 The Giants are a good team that reached the World Series - believe they will give the Rangers a fight and perhaps upset another supposed title contender in the making. I don't know what this guy's deal is, but it was funny watching him punk Chris Rose, who seems like the most genial, wholesome sportscaster - I didn't realize how good this guy has been as a closer in the past year either. 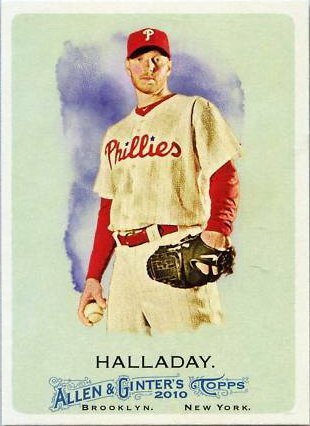 I have no rooting interest in this World Series, though I'll say what has been said countless times recently - I'm glad the Philadelphia Phillies and/or the New York Yankees are not one of the representatives to chase after a World Series title. 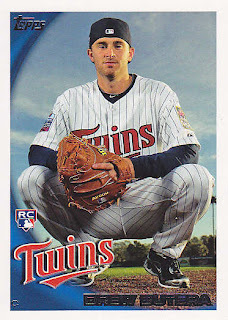 The New York Yankees can spend $125 million on Cliff Lee this upcoming off-season and might as well be in the World Series again in 2011 - while the Philadelphia Phillies were supposed to steam roll the San Francisco Giants in the National League Championship Series. However the Phillies were outhustled by the upstarts from the Bay Area - perhaps there is less luster associated with a team that was supposed to be a juggernaut. 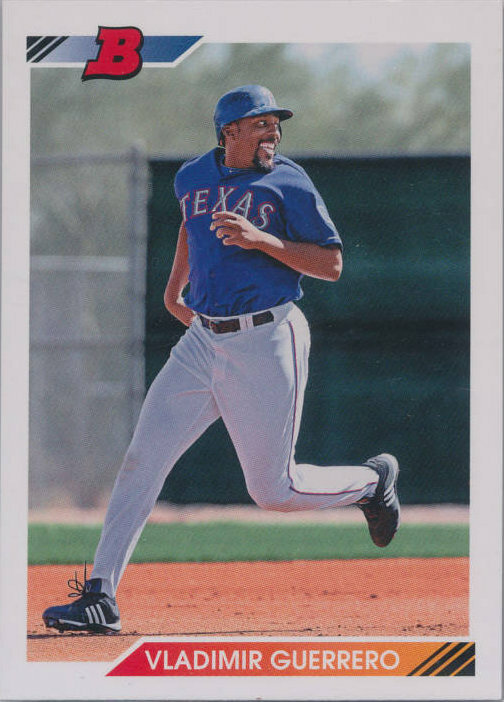 It will take a big effort from mashers like Nelson Cruz, Vladimir Guerrero and Josh Hamilton to lead the Rangers to a World Series title - the most important qualities to their team is the ability to pitch, play defense and run the bases. 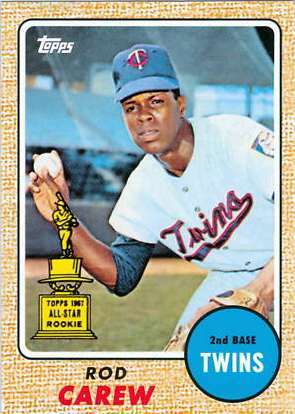 I think the narrative fits, where it took Nolan Ryan's vision to make pitching more of a priority with the Rangers - however the pitching was only part of the equation, where Ron Washington's vision was to make sure the Rangers played 'small ball' the right way. 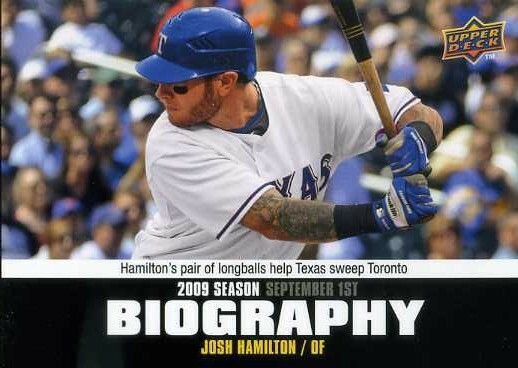 The man-love for Hamilton would elevate him to iconic status if the Texas Rangers won the World Series - if he has a monster series [think Barry Bonds circa 2002], then he can do whatever, wherever he wants with everyone on their knees to service him. It seems like the Rangers have the perfect mix of talent - that they should walk over the Giants regardless of any obstacles and win their first World Series in franchise history. 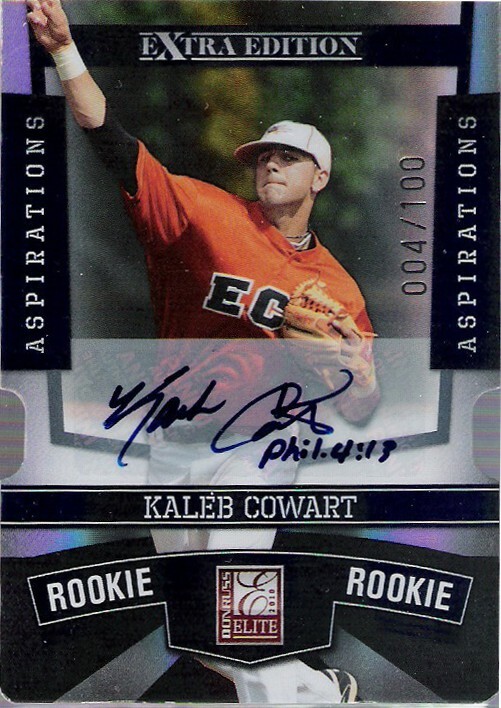 A 2010 Donruss Elite Extra Edition Kaleb Cowart autographed card serial #'d 4/100 [$10.99 plus $2.50 s/h on Ebay] arrived in the box Saturday - I felt compelled to pick it up for my Angels collection because I want to get early cards of future Angels' players. 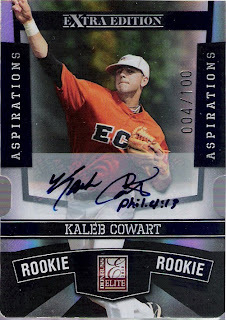 Cowart was a pitcher / infielder from a high school in Georgia - but looks to be a switch-hitting position player as a professional. 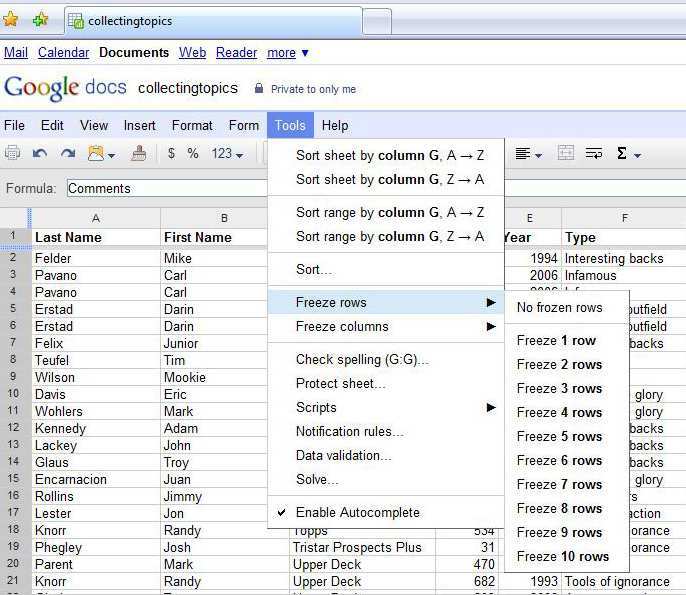 I've been tinkering with the Google Docs spreadsheet as an alternative to Excel - I wanted to work on listing various collecting topics cards [I've picked up in 2010] in my collecting topics file /database. However the mouse on my desktop computer has gotten wonky and it is easier working from my laptop - even though it doesn't have any of the Microsoft Office programs like Word and Excel. I imported a copy of my Excel collecting topics file to Google and there is about a 1MB limit when doing so - the size of my file is less than 1MB but I assume I'm probably going to export my file back to Excel once I reach the 1MB mark. Besides worrying about the file size limit, I was having a problem sorting the rows in descending or ascending order - because the field names on the header row would be sorted along with the data I'd put into the spreadsheet. What helped me figure things out was figuring out how to freeze the header row - as noted on this Web site. 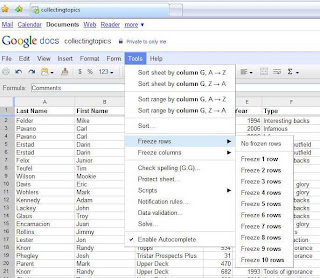 Now the header row with the various field names stay on top - with the actual data being sorted. 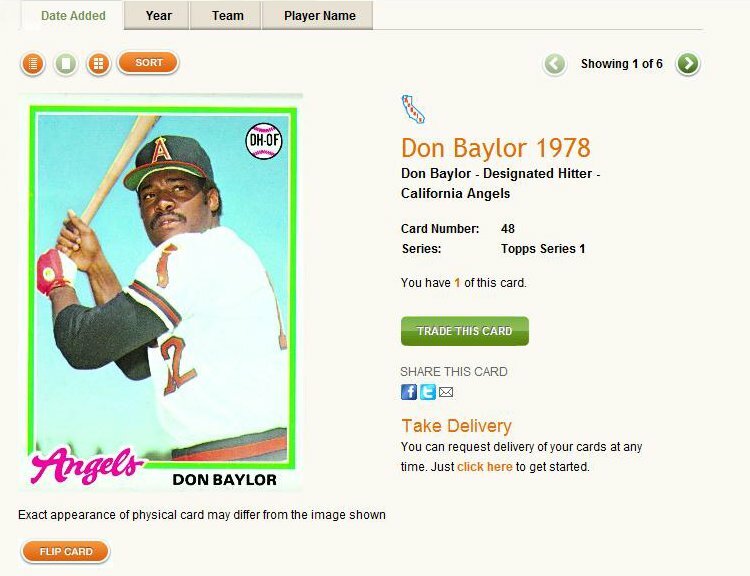 Hopefully with the help of Google Docs, I'll get a little more motivated to update and list more cards in the database - I really feel like I'd gotten away from the database work I'd been doing my collecting topics cards during the past several years. San Francisco's Tim Lincecum, Jonathan Sanchez and Matt Cain are about as good as the Philadelphia Phillies trio of Roy Halladay, Roy Oswalt and Cole Hamels - the key for the Giants having any chance in the National League Championship Series is for their lineup to heat up and hopefully score enough runs. Outfielder Pat Burrell was a Tampa Bay Rays castoff but was essentially a Phillies player for most of his Major League career - it will be interesting to see how he tries to help the Giants try and beat his old team. 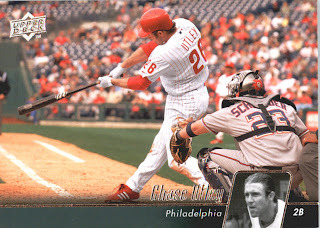 The Phillies are a juggernaut but stars Jimmy Rollins and Ryan Howard need to get it going - for all the talk of the Phillies' success lately, the duo seems to get lost in the mix but a good series for both would make the Phillies that much more dangerous. 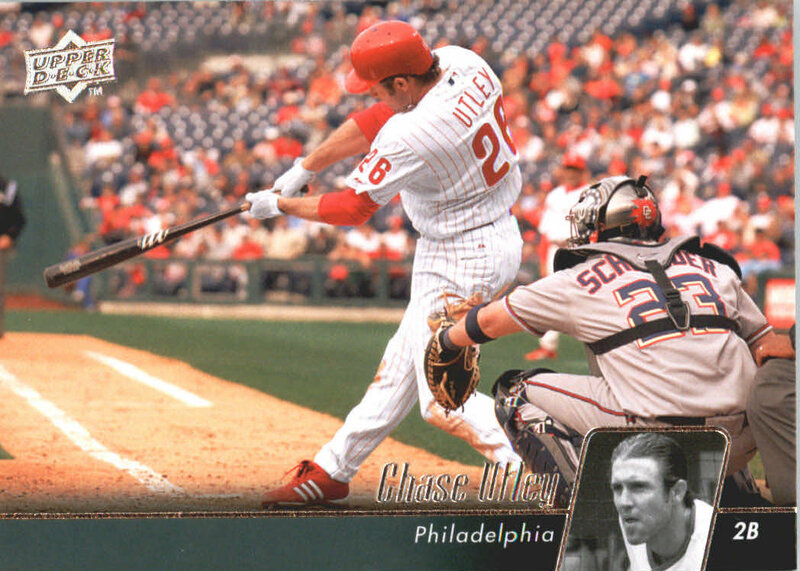 Second baseman Chase Utley was pretty banged up in 2010 - but he is solid All-Star caliber second baseman who gives the Phillies good at-bats and ability to hit for power. The San Francisco Giants are not going to win the series against Philadelphia but hopefully they don't just fold in the NLCS - to make this Phillies' run to the World Series a little tougher than expected. 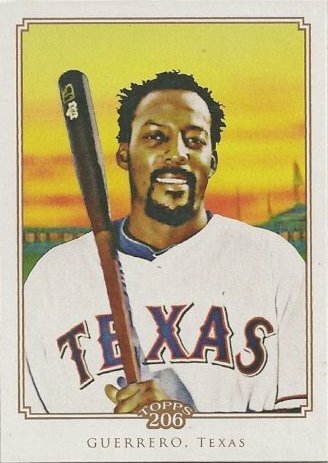 The Texas Rangers enter the American League Championship Series with a good shot to get past the New York Yankees and get to the World Series for the first time in franchise history - thanks in part to a very good pitching staff and a lineup can bash and mash as one of the best in Major League Baseball. Rangers No. 1 starter Cliff Lee needs no introduction as a legitimate ace - however C.J. 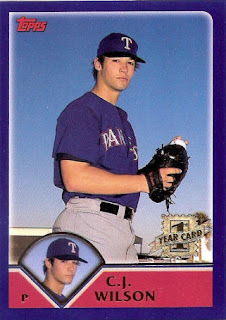 Wilson and Colby Lewis have performed as well as anyone could have guessed and expect competent pitching performances. If the two non-Lee pitchers do falter a bit, it will be up to the hitters like Josh Hamilton, Nelson Cruz, Michael Young and other to make up for any deficits on the board - sadly it is going to be with the Rangers, but with a big series, 35-year old Vladimir Guerrero has an opportunity to make up for his postseason shortcomings over the past six years. 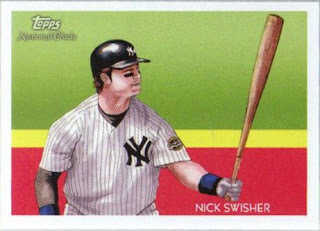 The New York Yankees are still the best team money can buy, but it boring talking about how great they are - any lineup they put out can match the Rangers hit for hit, run for run. On the mound, C.C. 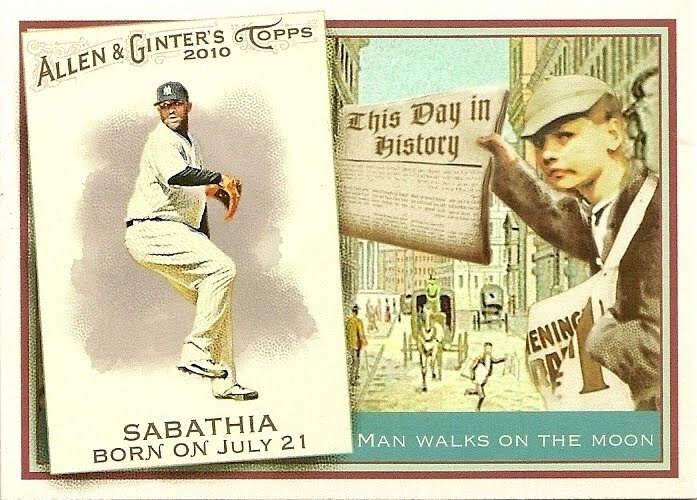 Sabathia is money and so is Andy Pettitte - the spectre of Mariano Rivera looms in the late innings and the Rangers need to jump on the starters early and be able to hold the lead. 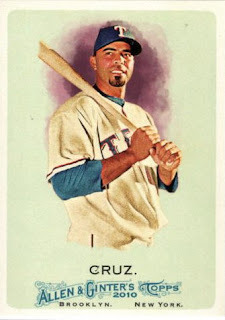 Where every play seems magnified, the Rangers' ability to play small-ball baseball helps them - bunt the ball over, hit the ball to the right side, don't get caught napping on the bases and not making any mental mistakes on the field. 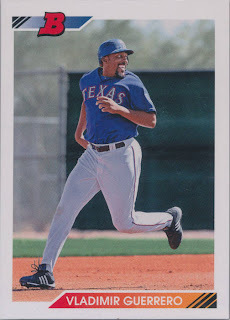 Riding the momentum of winning their first postseason series, manager Ron Washington needs to make sure his Rangers play without any jitters. 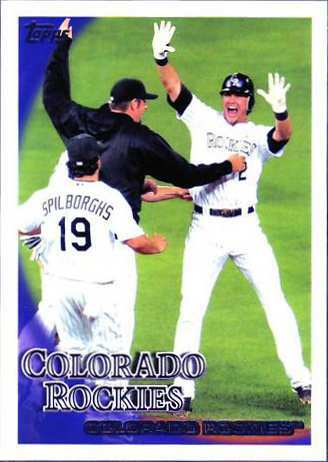 Ultimately, it would be no surprise to anyone if the Wild Card Yankees got to another World Series stage - but the Rangers are a team that can catch lightning in a bottle and 'upset' the Yankees to win the American League pennant. My parents have both become baseball fans, probably because of the Angels run to the World Series championship back in 2010 - as opposed to being completely oblivious to the sport [dad's favorite spectator sport is the NBA and the Los Angeles Lakers], now they have a passing interest in Major League Baseball, bandwagon fans or not. My mother down on the couch to get a breather after work with Game 4 of the National League Division Series [San Francisco Giants vs. Philadelphia Phillies] on TV - I just rolled my eyes 100 times when she asked if Tim Lin-CACK-UM was pitching in the game or not. 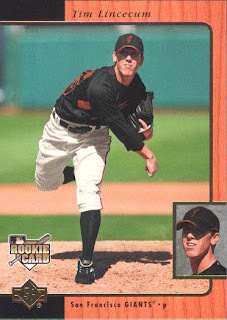 It wasn't even the fact the game was in the late innings, but how my mother butchered saying Tim LIN-suh-come's name - I guess I pride myself in familiarizing the pronunciation of most names and maybe Lincecum isn't a common last name, but are you serious? 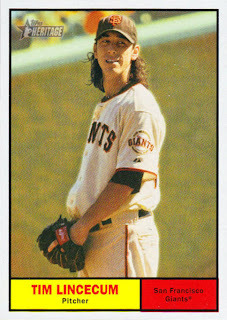 Maybe I have issues, but I would have been goofing all over my only friend in the world if he said Lincecum's name the way my mother had said it - it was a silly, cringe worth moment, though probably won't be remembered after the postseason is over. The Giants should be poised to stick around in the playoffs - a starting trio of Tim Lincecum, Matt Cain and Jonathan Sanchez looks pretty impressive while the Giants' smorgasborg of castoff hitters may just give the lineup enough offense. It has been no surprise, but catcher Buster Posey has been pretty impressive since taking over the No. 1 catching position for the Giants - he seems like a young guy who can explode with the bat, particularly in a short series. The Braves made the playoffs despite pretty much some smoke and mirrors - Chipper Jones is hurt, Martin Prado is hurt, Nate McLouth had a terrible year and whipping boy Melky Cabrera is still penciled in as a guy who is going to play a lot, even though admittedly his bat falls short. 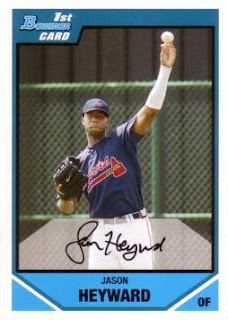 Braves rookie Jason Heyward has been a phenom and may give the Braves the sort of inspiring performance to boost them to the National League Championship Series - while Heyward seemed banged up for parts of the season, the 21-year old picked up 91 walks and had a .393 on-base percentage overall in 2010. 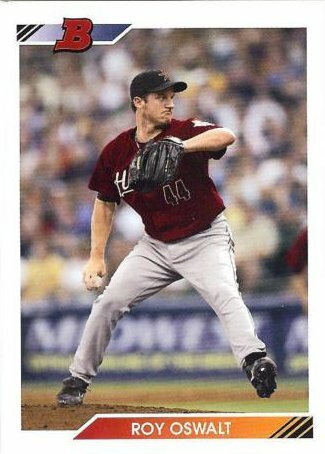 There is a story about 2010 being Bobby Cox's last hurrah in Atlanta - not to be a buzzkill, but it wouldn't bother me either way, if his Braves get dusted by the Giants in the Division Series, just to upset the 'feel good' narrative of beloved old-timey, fuddy-duddy skipper leading his team to one last shot of glory under his helm. 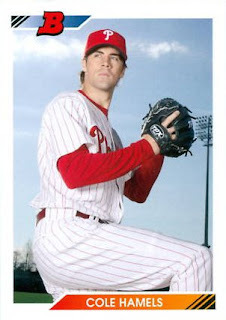 The Phillies go one-two-three in the NLDS with Roy Halladay, Roy Oswalt and Cole Hamels - general manager Ruben Amaro has been derided for trading off Cliff Lee, but his Phillies are the best team in the National League, with the best pitching staff and a balanced lineup with Ryan Howard, Jayson Werth, Chase Utley, Placido Polanco, Shane Victorino, et al. 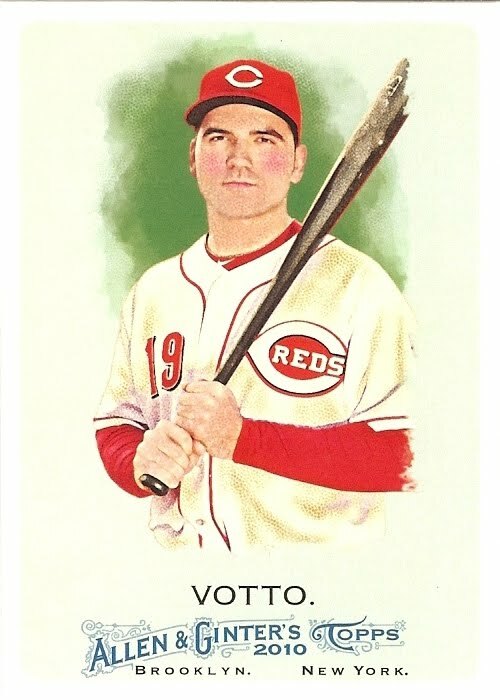 While the Reds don't seem as good on paper as the Phillies - they have Joey Votto, Scott Rolen, Jay Bruce and Brandon Phillips among the cast of characters that make for a solid lineup. Their bench strength should be great with Laynce Nix, Miguel Cairo, Chris Heisey, etc - look for one of these guys to contribute. 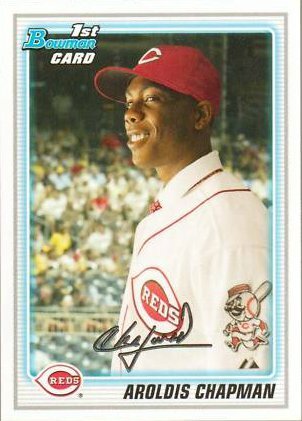 A key for the Reds is getting away from staying with a starting pitcher too long, finally making a move in haste to bring in a reliever and watching the reliever implode - the Reds have Aroldis Chapman, a 105 MPH throwing 'big gun' in the bullpen. Dusty Baker and his coaching staff cannot stick with a starting pitcher who is going to be laboring into the late innings - basically they have to make deft moves and have to think outside the box, even if it means ruffling some feathers with some guys and their presumed roles i.e. Francisco Cordero. 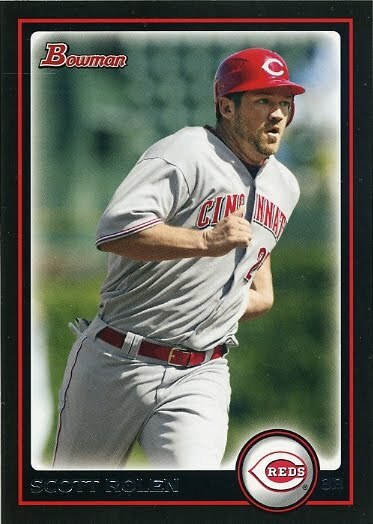 It doesn't seem like the Reds will be able to stay with the Phillies - the Reds' chances of upsetting the Phillies in the NLDS however will depend less on talent, but whether or not Baker micromanages too much, particularly under duress. American League Division Series preview - my Halos are out of it, but I'm still a baseball fan and interested in the playoffs in 2010. 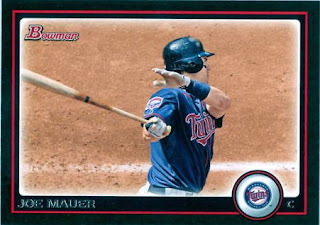 The Twins will be facing a tough task in trying to upended the Yankees - a banged up Joe Mauer is going to need to come up big, especially with Twins first baseman Justin Morneau out and when Mauer is viewed as the Twins' franchise guy. The Yankees' lineup will be too much for the Twins to overcome - the Yankees have Robinson Cano, Mark Teixeira, Nick Swisher, Jorge Posada, some guy named A-Rod, et al to make up for some of the pitching deficiences the Yankees might have past C.C. 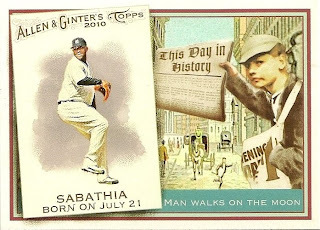 Sabathia. The Yankees outclassed the Twins last year and it will be much of the same this year - the Yankees are not invincible, but their hitters are so much better, even when Derek Jeter suffers through an off-year. The Rays are solid all-around and they've had some playoff experience - Rays manager Joe Maddon maybe the key as far as making sure the Rays players maintain a one game at a time focus instead of playing ahead of themselves. Star third baseman Evan Longoria's health may prevent him from having a big series - but the team is solid all-around. If Vladdy, Josh Hamilton, Michael Young, Nelson Cruz and the rest of the Rangers' hitters are up to the task - the pitching should come on strong. 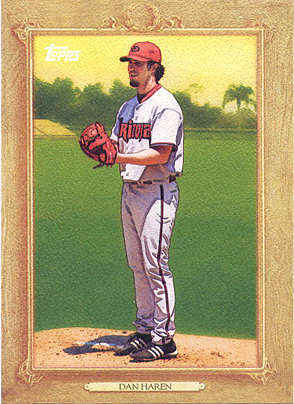 Starter Cliff Lee basically legitimizes the Rangers' starting pitching staff and gives them a chance in the series - if Lee bests the Rays No. 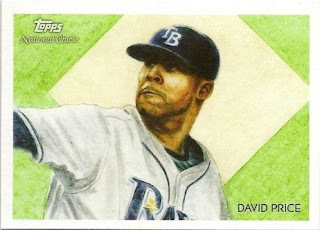 1 starter David Price. 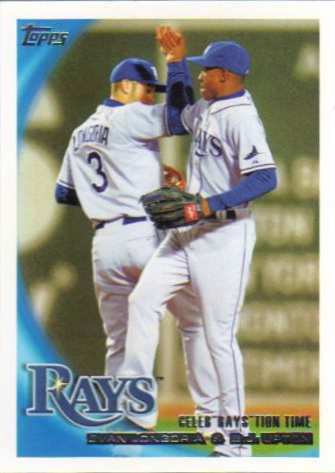 The Rays won the American League East outright -it will be a massive disappointment to show any let down, now they are in the playoffs. Under Maddon, a choke job isn't going to happen. 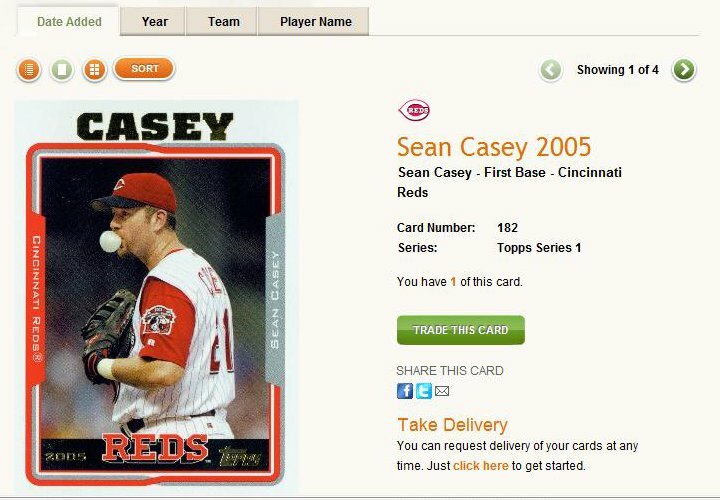 2010 Topps Topps II Value Pack [$4.99 x1 at Target] - I was disappointed I pulled a Million Card Giveaway code card and end up with a 2005 Topps Sean Casey...what a crock. Bottom compartment - first part of the jumbo I actually busted through. #607 Ubaldo Jimenez - after pulling four Colorado Rockies cards, it figures I don't show the card picturing the ace of the team's staff. 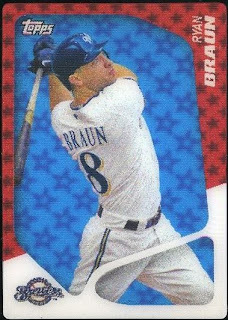 2008 Topps Stadium club retail [$1.59 x1 at Target] - this was the only pack that interested me out of the cheap-o "Power Pack" box I find at Target. 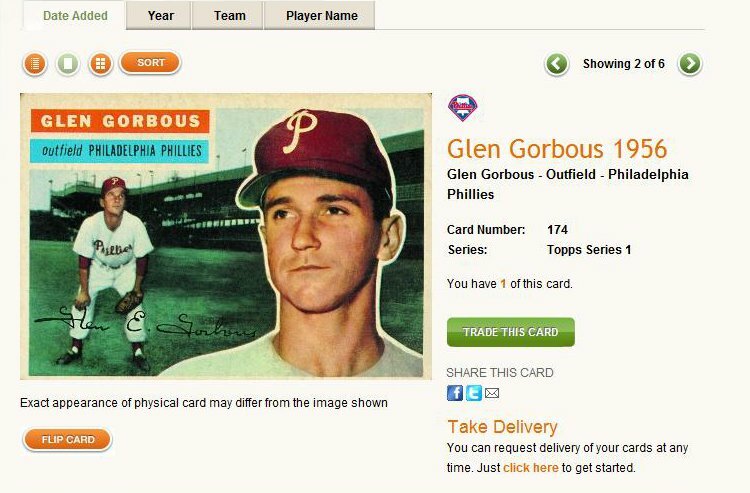 I'd like to say nearly all the packs out those "Power Pack" boxes are junk - there non-sport packs, a handful of packs from other sports and 'full priced' loose packs collected randomly from the shelves. Still, if there was more baseball packs - maybe I would look through those boxes a little bit more for that elusive $1.59 discarded baseball pack [or two]. 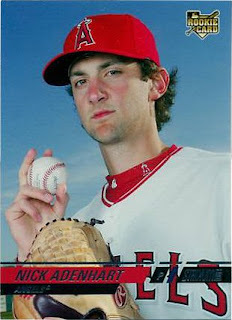 #103 Nick Adenhart - R.I.P. 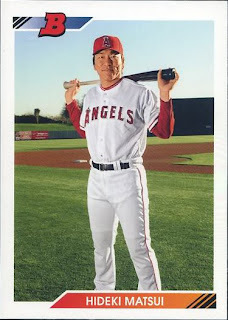 Though he didn't help the Angels get anywhere close to the playoffs in 2010, the Angels need to keep designated hitter Hideki Matsui for at least one more season - he is still a productive offensive player and at 36, is probably still a gate attraction [for Japanese MLB baseball fans]. 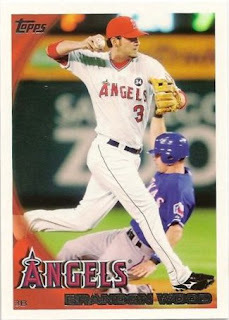 The reality however Godzilla will probably not be with the Angels in 2011 - outfielder Bobby Abreu will probably have to see more time at the designated hitter position in 2011. More importantly, the Angels are probably looking to see what minor league slugger Mark Trumbo is going to be capable of in the Major Leagues - Trumbo is about as ripe as they come at 24 / 25 and 2011 will dictate his future as a Major Leaguer. 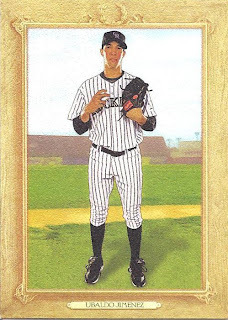 A realistic place for Matsui to land for 2011 is back in New York with the Yankees - it really isn't a stretch to assume if Matsui is intent on continuing his MLB career, he'll go back to the organization where he first started, where it maybe assumed there is a comfort zone. 2010 Topps Topps II Value Pack [$4.99 x1 at Target] - I was disappointed I didn't pull a Million Card Giveaway code card. #388 Joel Pineiro - an injury wiped out any success he may have enjoyed in his first season with the Angels in 2010. 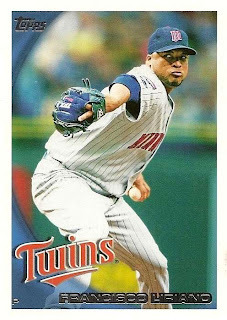 #505 Andy Marte - I'll keep getting his cards and he'll keep disappointing anyone who ever expected big things from him. #367 Wandy Rodriguez - it looks like Eny Cabrera has rebounded from his early-season struggles. #T1 Ryan Braun - maybe it is because of the graphics [i.e. 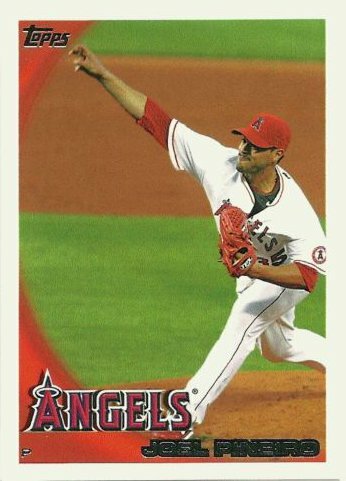 like the little stars in the background and the colors] but tilting this card for a moment really helps create a 3D illusion. It makes the card appear like a little shadowbox frame with Braun's image popping out - it looks like I'm going to have to find more of these cards because they are kind of 'cute' as opposed to your rank-and-file baseball card types.